Just as we feel Earth Day should be celebrated everyday, we think mothers should get a daily shout-out, too: Moms definitely deserve a little TLC after all that they give to others. So until the powers-that-be make every day Mother's Day, we thought we’d offer some ideas for the eco-friendly Mother's Day gift ideas for the official event, including some old favorites as well as new traditions. P.S. Feel free to pass this list on to fathers, partners, older kids, and anyone else who might need a nudge in the green gift-giving direction. 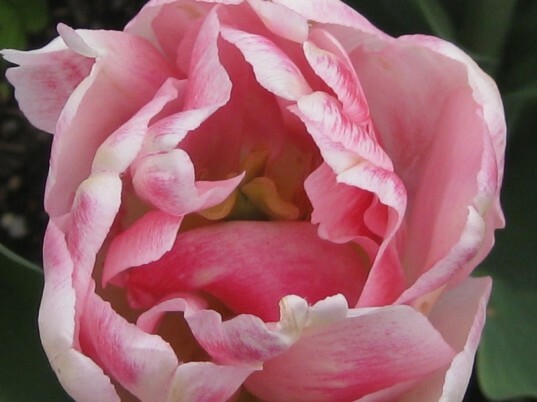 Flowers may be the old stand-by, but their natural beauty will cheer up any mom’s day. Mother’s Day remains one of the biggest days to buy flowers during the entire year, rivaling even Valentine’s Day. Local flowers from the farmer’s market are ideal for moms who live nearby, but for those farther away, Organic Bouquet offers a huge range of sustainably grown and fairly traded flowers. Organic Bouquet works with organizations such as Veriflora, Fairtrade, and the Rainforest Alliance to ensure that the flowers you choose leave a minimal footprint on the Earth while offering a maximum imprint on Mom’s heart. Some of the bouquets are even partnered with non-profit organizations with a portion of the proceeds going directly to the specified charity. For a longer lasting gift, consider some of the mini trees (such as kumquat) that Organic Bouquet carries. Treat Mom right, and she may gift you with some kumquat marmalade in a few months! Sure, chocolates sound like another no-brainer classic gift, but Lagusta’s Luscious makes some of the most elegant, sumptuous truffles and chocolate concoctions around. The fact that they are vegan and made with organic, fair trade, and local ingredients is just icing on the cake…er…truffle. 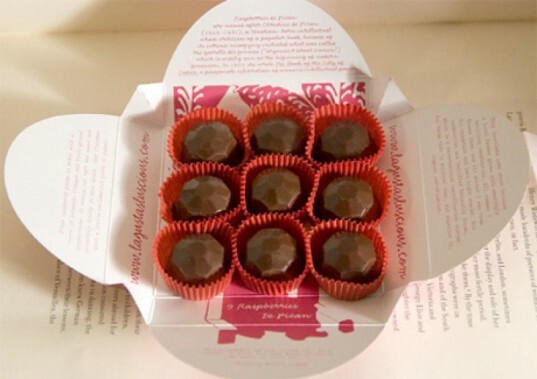 We’d recommend any of Lagusta’s offerings-from the Chocolate of the Month club to her boxes of truffles, but Moms everywhere will love her Bluestocking Bonbons collection, which were inspired by strong female role models. Try the slightly spicy Vandana Shiva, named after the famed environmentalist or the Raspberries de Pizan, honoring a female intellectual who lived more than 600 years ago and featuring organic raspberry puree! Being a Mom doesn’t generally leave lots of time for leisure, but time to enjoy a cup of tea: that’s a goal that even mothers of 15-minute nappers can aim for. 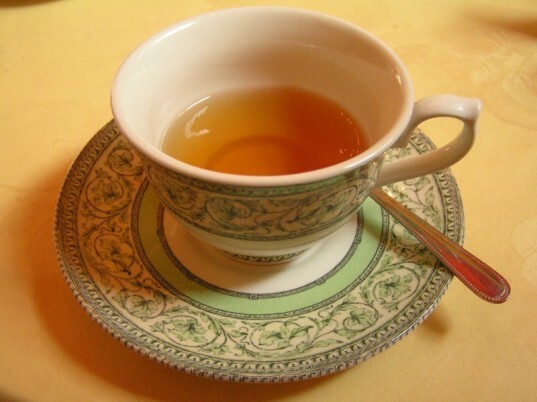 Rishi Tea has an astonishing blend of organic teas, most of which are also fair-trade certified. From caffeine-free favorites such as Chamomile Medley and Blueberry Rooibos to pick-me-up teas including Earl Grey Lavender, Rishi’s line of teas are carefully cultivated and always delicious (the brand has won numerous awards at the World Tea Championships during the past few years). For a dramatic presentation, Numi Tea’s organic flowering teas offer a simple way to bring a little more beauty into Mom’s tea drinking ritual (Warning: they are so pretty, they may spoil Mom on regular teas forever). We love the eco audit that is posted on every Numi box, which includes the number of trees saved and gallons of water reduced as a result of Numi’s many environmental efforts. 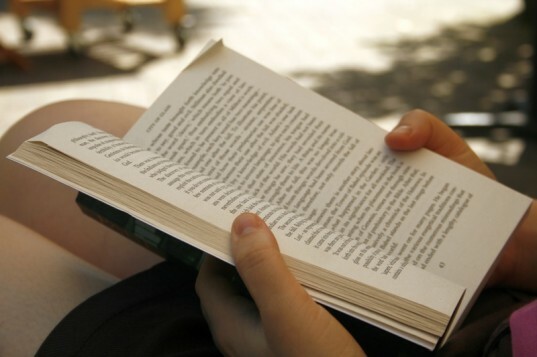 Chronicle Books has offerings for every mom. Stylish mamacitas will appreciate My Mom, Style Icon, crafty moms will love Amy Butler’s Little Stitches for Little Ones, and new moms will thank you for Mama’s Big Book of Little References. 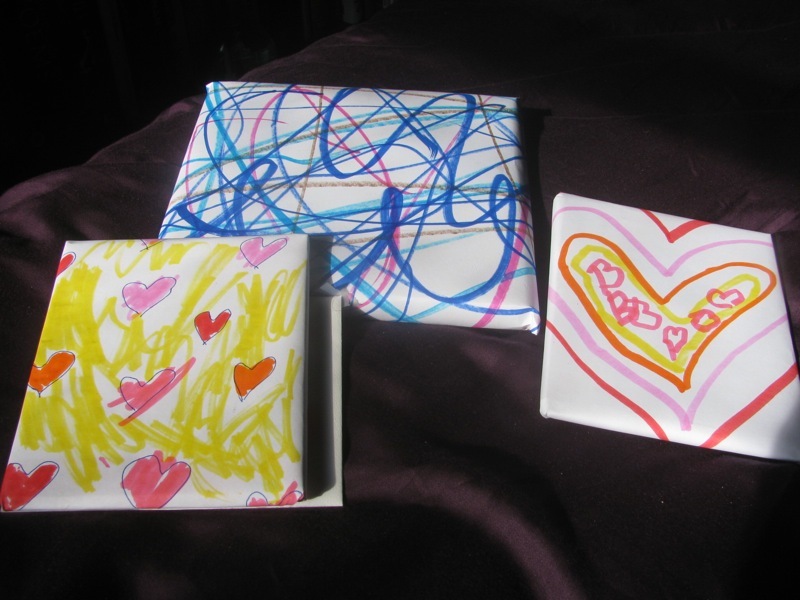 Whatever type of mom you are buying for, one thing is for sure: you can’t go wrong with Chronicle’s environmental policy, which include in-house recycling programs in their Energy-Star certified office building, careful sourcing of paper from FSC and PEFC certified sources, and continually reducing and reusing their paper volume. Moms understand the value of helping others more than just about anyone, so honor your mother with one of the International Rescue Committee’s gifts. The International Rescue Committee responds to humanitarian crises and gives aid and assistance to refugees in over 40 countries. 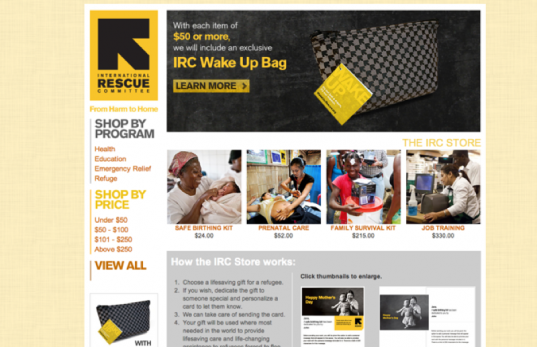 The choices at IRC’s gift site, fromharmtohome.org, include prenatal care for an expectant mother in a war-torn country and a family survival kit that provides cooking and hygiene supplies to five families. If there’s one thing mothers everywhere tell their children, it’s that beauty is only skin-deep. But after months (or years) of poopy diapers and sweatpants, most moms could do with an update in the makeup and body care department. 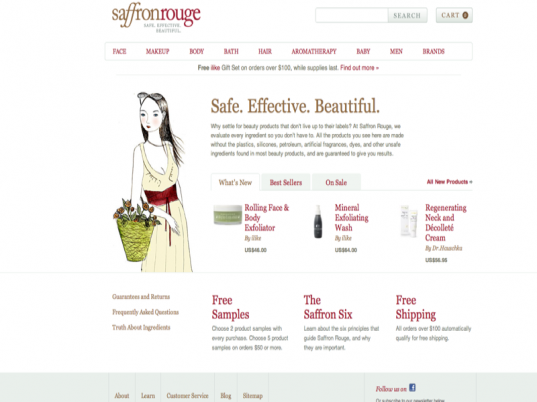 Pamper your favorite lady with a gift certificate to Saffron Rouge, an online retailer for organic products. Saffron Rouge’s brands include established names such as Dr.Hauschka and Pangea Organics as well as newbies like LEAP Organics. Saffron Rouge’s stringent standards mean that all of the products are free of toxic ingredients and synthetic fragrances and colors and are never tested on animals. And because they are always looking out for the rest of the family, moms can also peruse safe products for baby while picking up something for themselves. If there's one thing mothers everywhere tell their children, it's that beauty is only skin-deep. But after months (or years) of poopy diapers and sweatpants, most moms could do with an update in the makeup and body care department. Pamper your favorite lady with a gift certificate to Saffron Rouge, an online retailer for organic products. Saffron Rouge’s brands include established names such as Dr.Hauschka and Pangea Organics as well as newbies like LEAP Organics. Saffron Rouge’s stringent standards mean that all of the products are free of toxic ingredients and synthetic fragrances and colors and are never tested on animals. And because they are always looking out for the rest of the family, moms can also peruse safe products for baby while picking up something for themselves.